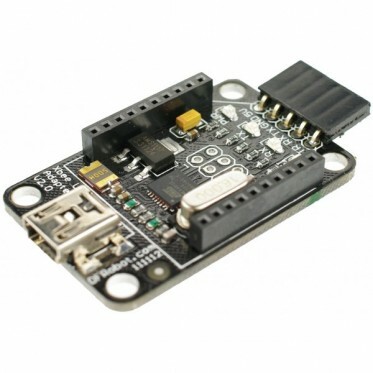 The XBee USB Adapter V2 is an update version from DFRobot. It features an Atmega8U2 programmed as a USB-to-serial converter, the same chip found on the Arduino Uno. The Atmega8U2 firmware uses the standard USB COM drivers, and no external driver is needed. However, on Windows, a .inf file is required. It's compatible with all the products using XBee socket. It provides a faster and stable wireless communication for your projects. The DFRobot Xbee USB adapter is used for the XBee module configuration parameters to facilitate wireless data transmission. It can be easily connected to a PC via mini USB cable. Further, it can be used with XBee-setting support software X-CTU. It can also be used as a USB-TTL adapter.